William “Bill” E. Johnson has been the Bamberg County Building & Planning Director since October 2004. Before coming to Bamberg County, Mr. Johnson worked in the Engineering Field as a Designer and also Project Manager in the Pulp & Paper Industry for 10 years. Mr. Johnson graduated from Orangeburg Technical College with an Associate's Degree in Engineering in 1990. He also operated his own construction business for seven years before coming to Bamberg County. 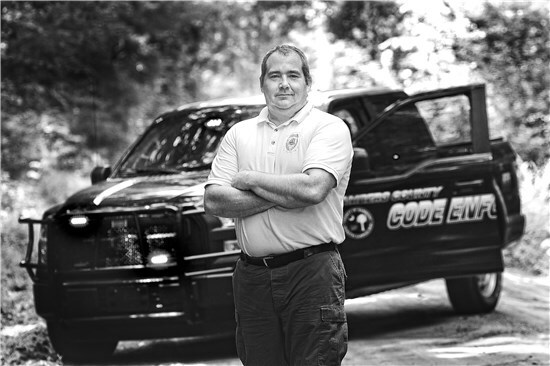 Mr. Johnson is a member of the South Carolina Building Official Association and International Code Council. Mr. Johnson is also certified thru the International Code Council for Commercial and Residential Inspecting and also for Fire Codes. He has held commercial contracting licenses in four states. Mr. Johnson also serves as the Floodplain Manager for Bamberg County since 2004, and is a member of the South Carolina Flood Managers Association. Mr. Johnson has also been in charge of the county Mosquito Control Program for the last three years and is a member of the South Carolina Mosquito Control Association. Mr. Johnson is married to Summer Johnson and they have three children Landen, Brookie-Faith and Isabella.